Howard Beck wrote a special article (“Linsanity a Memory, Nets Offering Second Act for Jeremy Lin and Kenny Atkinson”, Bleacher Report) on the special bond between Jeremy Lin and Kenny Atkison dating back to pre-Linsanity years in 2012 all the way to how they finally joined forces together in the Brooklyn Nets. “There was a certain point in that process,” Atkinson said, now slapping the table in his Brooklyn office for effect, “like, ‘Sean, we gotta get Jeremy.’ We gotta go get him. '” Others were unsure. Could Lin, a scoring sixth man in Charlotte, be a full-time starting point guard? Where another player might just follow directions blindly, Lin would question everything, then add his own take. “He’d say it politely, but he would see things almost two levels deep,” Atkinson said. Over his first 13 games as an everyday player, Lin averaged nine assists to go with his 22 points per game. “The passing was underappreciated,” Atkinson said. The article tells many stories to show how deep the special bond of friendship that Jeremy and Kenny had in the past 4 years. They are in the Nets joint venture together; they are friends, partners; and they are more than a coach and a player. It might take some time to get the new Nets engine revving to be a top echelon NBA team but there is no doubt they are friends in a close partnership. They will need to push each other hard this season to bring out the best in them. seriously, what I find more mind blowing is how KA kept it with him all this time . Wow! That Promo (above) from Yes only Lin…. haha! Maybe KA finally will play Lin’s game to get the W…. hope so. Anyone has any takes on Pacers? They good? They beat Mav last night. had to go to ot to beat the mavs who i dont think will be very good. myles turner second year player led the team with 30 point nite and double double; all five starters in double figures but then they (unlike nets) basically only played 6 guys, the starters + rodney stuckey. big all is here but wouldn’t expect him to get much burn if turner continues to be strong. most forecasters have them making playoffs but not rated near as high as celts. Nets could have chances on Pacers as well as Mavs. Their defenses are as bad as Nets. But not sure Nets can beat them so soon. Maybe after all star game. I am going to Barclays tomorrow. Any suggestion on parking? That was the only reason why I considered Brooklyn,” Lin said. If Atkinson had one concern, it was that Lin might expect the same pick-and-roll-heavy system that helped launch Linsanity. Atkinson is using a motion offense patterned after Atlanta’s. But Lin proved a willing student once again. The ball might be in his hands less. The stats might not reach the heights of Linsanity. So for yall ppl, ahem, I’m not going to name who, who say should’ve chosen someone else as a coach.. you do NOT know what you’re talking about. They do. I trust lin’s perspective. 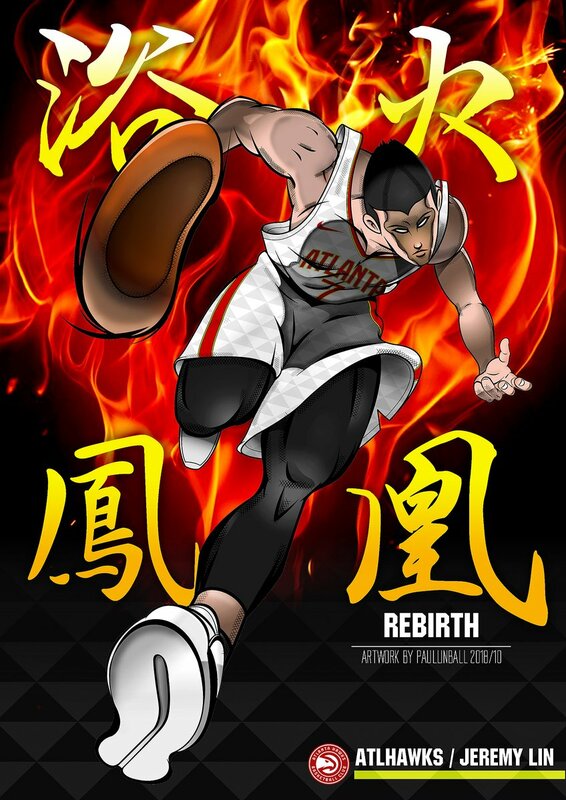 So even though I find things weird with the way KA coaches, I don’t have doubts.. because if you believe in JLin, you should not have doubts about his choice. amen. Lin knows it’s not pnr all the time. or most of the time.. so he knows that. Or park like couple blocks away and then walk. … that’s if you know or experience how to find parking in the city. Or park in manhattan first and then take public transportation. well, lin has to win more than 1 championship to do that. I know. but lopez has to fit into motion offense. I don’t how bigs do it though. Lopez trade rumors already surfacing. this one is interesting but i really think the Nets should look elsewhere because they really need a PNR Big like Ed Davis. the Charlotte is rumored to offer MKG, Hawes, and a protectect 2017 first-round pick for Lopez..
NetsDaily on last night game. Seems in line with most of us observed. i really like Chris McCullough as a PNR big for the Nets. he’s like an Ed Davis clone.. He needs to show some motivation than he did in preseason. It was better last night. But it has only few mins and cannot prove much. Lin finally found a coach who believes in him. Let’s hope they can raise the Nets from the ashes. They need some help. I feel bad for Lopez. He really does not seem to fit with this motion offense. That’s not a bad trade if they can get MKG. Its only good if MKG does not get hurt. Wow. I hope Lopez do well soon. Heck no MKG is injury prone! He’s barely played any games these last 2 seasons due to his shoulder injury! Not to mention he’s not an offensive threat! I’d take Ed Davis before I take MKG. After reading that really good article I like Atkinson more. Thankful Lin has a good supporter with good character in Atkinson. I still don’t like his offense. Brook is a proven center. Atkinson is an unproven coach. Lin is a unproven starting point guard. The lack of touches by Brook makes Atkinson look like a bad coach and Lin a selfish point guard. Lin gets his but Brook needs more. Also rebuilding young players I could understand. Trying to rebuild old players I do not understand. Well it’s a guard vs guard battle so it makes sense. Though things are seriously not looking good for Lopez. Thanks for posting the article/interview but I still don’t think motion offense will work unless they include lots of PnR! I also disagree with Atkinson’s limited minutes and rotations. Bottomline if they continue to lose 5 games straight something will have to change. Again why would to avoid your best players strength instead of tailoring to their abilities? 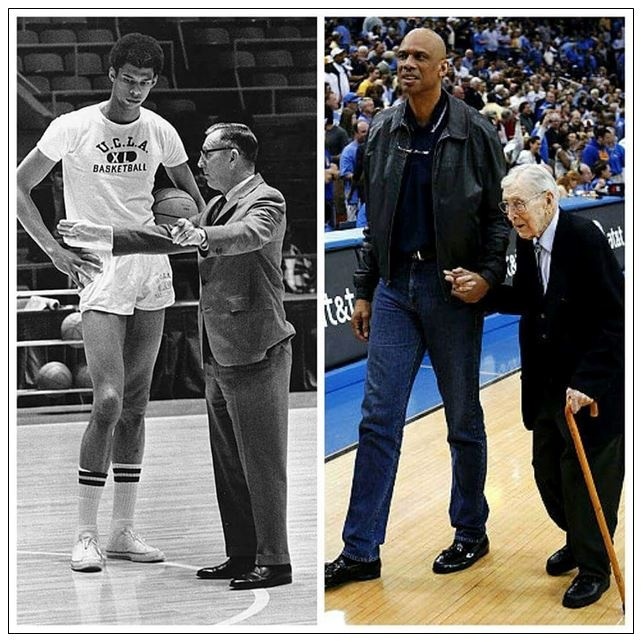 old players are they to supplement the young ones because young still have a lot to learn. Paul George is a 6’9″ Forward. CMC’s problem is he has terrible handling / hands. His body isn’t solid enough, so he gets out-bodied in the paint. If he can develop a more muscular body and better handling skills this season, he will be a good rotation player. I liked him a lot during Summer League, but he was pretty bad in preseason. I’ve gone there several times. Arrive there one hour before the game and start driving around the residential areas. I’ve always found spots. Or pay parking lots. Damian Lillard is playing out of his mind. Correction: Lin “barely” gets his! If they were playing PnR, Lin would be getting 20+ 30+ every game and they’d be on a winning streak! This motion offense does not fit Lin either but he’s going along with it since KA is his friend and the reason why he got the starting gig! I just hope Lin and Lopez speak up because no one uses Motion offense by itself! They use mainly PnR! Paul George is considered a SG/SF and he plays more like a guard handling the ball most of the time. Ball hog, shot chucker, blazers will never go anywhere with Lillard. Lillard does not elevate his teammates and only cares about scoring for himself. Dude, Teague is their PG. George isn’t. He’s a SF. It’s not one player’s stats. The team has to play better defense. Look at Harden’s stats in the game against the Lakers. The Rockets lost that game. The Nets scored 117 points, but gave up 122. AK must use PnR to the point that other teams defense only focus to stop PnR THEN he can open for motion offense. You don’t understand. CMC can’t catch the ball and he can’t hold onto the ball. He has stone hands for some reason and always loses the ball whenever he touches it. It doesn’t matter how big or small you are in the NBA. If you always give up bad, unforced turnovers, you’re not going to be playing much. He has to fix this problem. He has all the tools to be a good player one day, but I hope he uses this year mainly to develop more and get some more experience. He’s most likely going to D-League once it starts. Kenny is giving him some playtime now in garbage time. Last night, him and Whitehead came in hungry and outplayed the Celtics’ 2nd and 3rd stringers. But we wouldn’t have practiced any motion offense for it to be effective.. I need to see the next two games to make a real judgment. Boston is a bad example because they are one of the few teams where simple Lin PnR may not win the game (Stevens is too good defensively). We’ll see what happens Friday & Saturday. If Kenny doesn’t change his approach, then Lin needs to have a serious pow-wow with him — luckily they have that kind of relationship. Hope he gets rid of the man bun and brings back the mohawk. He can get Linsanity stats in this system too (preseason and even last night showed that), but if they want to WIN GAMES, they need to play to their strengths. This team doesn’t have the talent and depth of SAS or ATL. I actually like the man bun/pony tail on him. It’s growing a bit too long though. Should be slightly shorter. Not really the man bun really doesn’t fit him. The mohawk was cooler and helped protect Lin from getting swipe at the head. All teams in the NBA use PnR as primary offense then everything are just reactionary although last night Nets lose the game on lackadaisical defense. me too! mohawk is what I am waiting for! I’m not acting like anything. There’s a reason why he was only put in during garbage time. But go ahead and believe what you want to believe from just watching a Draft Express YouTube video. It’s part of the plan. They’re not going to include “lots” of PnR because it really depends on the opponent match up. If the opposing team is going to make it easy for pick and rolls, then they’ll run it. If not, then they won’t run it or they’ll run it sparingly. Atkinson is still also adjusting and trying to find the perfect balance of what kind of defense the opponent gives and what kind of strengths the team has. They’re also still trying to develop and learn motion offense still, and doing so requires time playing with it. As for the minutes, like I said, it’s part of the plan. Brook isn’t getting heavy minutes because they’re easing him in and setting him up for the long run. I’d assume the similar for Lin and that the Nets will amp up their minutes as we go further along the season. This reduces injury chances on Lin and Brook which would be horrible for the Nets. I’m honestly tired of saying this over and over but just trust the process. If by the time January or February comes around and we’re still looking this way, then I’d be worried. But I can almost guarantee you we’ll look much better later on. No. I love this. So cute! Let’s Go grab a win Vs Pacers. Go on a mini winning streak. This formula will not win games. Or at least some tight braids! Branches do not grow unless you have a strong healthy trunk. PnR is their stronest weapon and it should be their strong trunk. Their best 3s were used at the perfect way. Parker set the offense, Tim inside, Ginolibi shoots 3 or drives. Let last game go out the window. On to the next game! I like KA’s approach right now. Lin trusted him. He trusted Lin. KA is just giving other lesser-talented players to build up confidence and experience. Trust the process. KA will make mistakes, no doubts, but he will learn from it. PnR is the hardest offense to defend. I think we have a decent chance too. We’re at home and all. Man those remix jerseys are absolutely SICK!! I love it! They’ll debut it tomorrow night. I’m all for the win! Let’s see the adjustments and I’ll give Atkinson a fair shot. We’ve seen 7 games, regardless. We can not afford to keep experimenting like Charlotte did and caused them to lose higher ranking own the playoffs when Clifford was determined to make PJ hairston work over Lin. They kept trying everything else except for what works! Lin & Lopez! I’m excited. I think we might have a good chance against the Pacers too. Will be fun to watch. and look what the 76ers have accomplished. Nice man, here’s to hoping we get a W and money well spent going to the game! i’ve calmed down. kenny sorta explained himself. im still disappointed kenny isnt overtly trying to win BUT i dont think he’s trying to lose either. it’s a process where they will have to lose to learn. i get it. i will have faith. having said that, kenny seems to be a real believer in defending home court. remember those meaningless preseason games where the nets starters were going against the boston 3rd string? or the last preseason game vs the knicks? i think kenny is going to try to win tomorrow… starters will play a lot of minutes. home opener for god’s sake, he better try to win…. There is not a single mentioning of Lin! Odd treatment as Lin is supposedly one of the main attractions. Anybody know if Foye will play? he Needs to learned and imbibed with the nets culture “never to give up”, otherwise he’s stubborn and slow to adapt? I’ll be dressed up in Lin/Nets gear tough. if they win, you need to keep coming until they lose hehe..
Who am I kidding? The media and NBA fans love Lillard and think he’s the next MVP. Lillard plays for Blazers, not Clippers. The point is, Lin gets criticized everytime he doesn’t get lots of assists, anytime he makes turnovers, and/or anytime he doesn’t score 20+. Same standards don’t get applied to other PGs. Most people love them. I want to buy one, but I really can’t be spending any more money on Lin/Nets gear… I hope I stay strong when I go to Barclays / Nets Store tomorrow. dont really care of these so called “pundits” criticism should be based as a whole on how the game was played, player position and movement and the system they run. Pacers are a complete team with depth. I like that team a lot. Still hope for the best. They tend to only look at stats. Sometimes highlights if they care enough. Then they talk trash about Lin and act as if they actually watched the whole game when they didn’t. I find it ironic that a coach that hated Lin and a coach that loves Lin both end up playing him in similar ways. No. There’s a high probability Coach Stotts won’t make a big deal of it in the media. Media won’t be able to drag on the narrative. Beware of Lauren Holtkamp reffing games, she was horrible for the Blazers/Clippers match tonight. Maybe fair to Lin, but I just don’t like the idea of watching a game in which obvious calls aren’t called or called incorrectly. Not sure who that is, but man I just wish all refs were Danny Crawfords. Oh jeez, I think Joey Crawford (another good NBA ref) retired last year. That’s right and if Lopez, Scola also got the double digit, we could’ve won the game. Also, I wish he won’t play so hostile in every game. It’s a long season. He needs to protect his body. JJ Redick got fouled, no call. JJ yells out that he got fouled and then proceeds to gets negligible contact, and she blows the whistle 5 seconds after the more blatant foul was given. Keep in mind that this was within 6 seconds to the game ending. There were also a couple other bad calls by her this game. what exactly is this hairstyle? If he keeps making good passes, they will start making those shots. I got a good feeling about that. Remember, this is still a new team who are familiarizing themselves with a new coach and style of play. The NBA and fans like gaudy stats. That’s the reason they like stat stuffers with high PPG. Even Linsanity was huge partially because of the numbers Lin put up for points. LeBron is also the SF that handles the ball a lot. I guess in the first few games, you will see the bench of the Nets growing because they know their coach is going to expose them. They will have to be asked to save the game when they come in. There are so much they can learn and be excited about their future from this first game. Yes we all know that coach Atkinson is holding back on his starters like Jeremy and Brook, their stars. They could be controlling the game and the bench would have little sense of responsibility. Now every time the bench is asked to come out, they know damn well that they are going to make a difference after this very first game. From what I can see is they did play team defense in the last minutes and the bench could score lots of points in a hurry. This game will remind them that. Yes, the bench players would probably thought they will get pulled in the last minutes of the game after they brought the game back. I liked KA keeping them in the game till the end. It is liked “you deserved to finish”, win or loss. Next games they will even play harder. Holtkamp has been “good” to Jeremy in the past. Joey made bad calls to be part of the spotlight. I loved to boo him during games. Will miss him, sort of. Pacers have a good team. The Boston game looked closer then it really was. Crossing my fingers this is not a bloodbath. Lin’s gonna attack Jeff Teague like Lin always does. Teague better hope Kenny Atkinson helps him out by benching Lin for being too “selfish”. Nobody in the NBA has beaten up more on Jeff Teague over the years than the bigger stronger faster more skilled Lin has. I’m sure Kenny Atkinson is TERRIFIED that Lin is gonna get pummelled by Atkinson’s guy Teague – and that should fuel Lin’s fire pretty good! KA planned to play Lin 32 minutes vs Celtics but because they were being blown out only played him around 28 minutes. Because the backup pg situation is so bad he better plan on playing him at least 36 minutes. And please don’t pull him if he or the team is on a roll! Lin was taken out in the 3rd Q after making two 3 pointers in 50 seconds because he had played his 8 minutes not because he was selfish. Sounds hard to believe but look at the play by play. Lin played 8 minutes in the 1st, 2nd and 3rd quarters. He was pulled 4 seconds after he made his 2nd 3 pointer with 3:56 left in the 3rd quarter. Lin should play extended minutes tonight or we will lose. u could post this same comment pretty much every game. all nba teams have now played exactly 1 game. there were several super high scoring performances: anthony davis with 50 points, derozan with 40, harden and lillard with 34–all but derozan’s team lost. Good, the Nets 3 reserve SGs can continue to play at an All Star level then!!! You call stupidity a “process”? I expect Lin to play exactly the same amount this game, maybe LESS. But Lin will raise his game even higher. i am one of several posters here and elsewhere who dont think foye brings much of anything to the table and its actually a blessing in disguise (obviously not for him) that he’s out because it opens up time for more talented players. here’s a quote from a post on “the other” lin site which i would concur with (altho i realize and accept there would be much disagreement); but uh this is how i see it, foye last season was arguably the worst offensive performer in the nba to play major minutes. no slight improvement over someone else on defense can compensate for that. “I strongly disagree that Randy Foye will help the defense when he returns. Foye has never been a good defender in his entire career, he’s not suddenly going to become a great defender now that he is retirement age. Plus Foye’s atrocious sub 30% shooting hurts the Nets badly and takes minutes away from beastly scorers like Bogdanovic, Harris, and Kilpatrick who have all come to play this season. no ironic font here i guess. The frustrating thing is that while Kilpatrick, Harris, Lopez, and Scola are all playing like benched starters, Greivis Vasquez is singlehandedly dragging the bench and entire team down with his disinterested unmotivated play. If Lin could run more with the bench, the games would be a lot closer than Atkinson is comfortable with. That was my post on the other site. I’ve been following Foye since he was a summer league sensation scoring 24 ppg but then having a stunningly weak NBA career. Foye has never been a serious contributor in the NBA because he’s too short to play against tall SGs and too slow to play against small PGs. These problems are magnified on the Nets because Foye isn’t the young spry journeyman he once was, he’s now an old broken down journeyman. GOOD that he’s a ball hog scoring like 21 points in 23 minutes! That’s Stephen Curry or Klay Thompson level shooting production. I agree he should not be in the starting lineup. He should be the backup point guard especially if Vasquez can’t guard his man. Lin doesn’t need that, he’s putting up humongous numbers. On every Lin team, you’ll observe that Lin’s numbers SKYROCKET when he’s playing with a “ball hog”. That includes Houston and LA. The reason for this is because when Lin is with a ballhog that punishes opponents for loading up on Lin defensively, that paradoxically frees Lin to shoot and drive more. Any Lin only fan who only cares about Lin scoring and doesn’t want Lin’s teammates to succeed should WANT Lin playing with big time scorers like Bogdanovic who siphon defenses away from Lin. I agree. Foye should be a backup point guard. Not that he’s good but the others are terrible. Yes that includes Whitehead who is just not ready. I’d give the nod to Whitehead over Vasquez or Foye. Whitehead is an inexperienced rookie with terrible selfish habits, but at least he plays hard and brings real energy and is coachable. Foye at least tries hard, Vasquez doesn’t even care to break a sweat. I’d mercilessly bench both Foye and Vasquez, use them strictly as practice crash test dummies for Whitehead to gradually learn how to beat up on. Trust me, Foye being injured is a blessing for Foye too. At least Foye’s not doing damage to himself in terms of poor production. sooner or later, it will look like one of those sumo wrestlers or traditional chinese style back back in the days when regular pants was still non existent, but have like a dress for men too. sigh .. just get back to the spikydikeyhikey hair. No, I think Atkinson is unhappy with Lin shooting too much and will bench Lin if Lin starts beating up on Atkinson’s PET Jeff Teague. Today, the great Kareem Abdul Jabbar would be frozen out of offenses and would be stationed at the 3 point line. I seem to remember that years ago the famed Tex Winter tried to teach the triangle (actually known as the triple post offense) to a bunch of famous NCAA coaches. Did you watch summer league and preseason games? What did you see from Whitehead to justify your confidence in him? Brooklyn Squad. Our guy is standing in front and center w/ Lopez! Thanks for the story. Appreciated. Then No minutes. No PNR. No shooting allowed. I’m starting to not see a big difference on how Lin played with the Lakers. Whitehead has done NOTHING to justify my confidence other than be young, hardworking, good attitude, and HUSTLES. Can’t say the same for Foye and definitely not the lazily strolling Vasquez. But that’s how the games have actually played out. Don’t blame me, blame ATKINSON. Well, that is EXACTLY how it has gone this season – complete with Atkinson criticizing Lin in the media for scoring too much. He’ll likely stay there all season. LeVert may be a 4 year college graduate, but in basketball terms he’s actually an underclassman because he misses most of his final two years due to repeated season ending injury. After two years of utter inactivity, there is no way Levert is in physical shape to play NBA minutes. Levert will have to “regain” his conditioning after not playing the last two years, that will take a LONG time. The D League was created specifically for people like him. Kenny Atkinson is trying out an offense that takes the ball out [of the hands] of his best player, instead of giving him as much opportunities to make decisions. Lin is also the team’s best decision maker and playmaker and passer. He can’t just be someone who brings the ball up to the opponent’s half to set off the motion offense. Atkinson, like all of Lin’s previous coaches, thought he was getting Lin as meek slow unathletic pass first point guard who’d be overwhelmed by athletic opponents and cannot defend his position in the NBA. Instead, he got the NBA’s best two way guard. 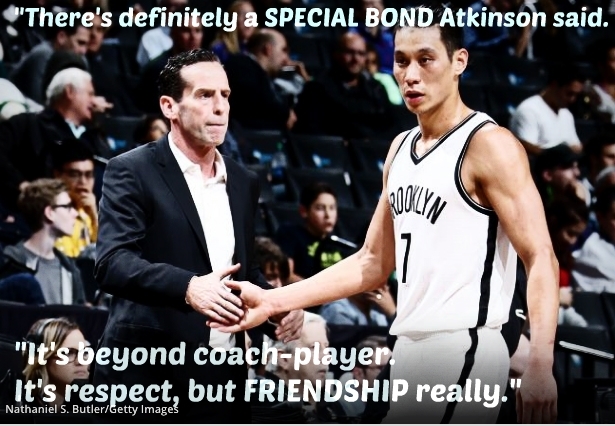 And Atkinson is FRUSTRATED by Lin being that good. It’s Atkinson that needs to adjust, not Lin. … KEY OF THE GAME: Can the Nets have strong interior defense with strong rebounding? Justin Hamilton, Trevor Booker and Brook Lopez would need to step up their rebounding game. Can the Nets come out with 3pt sharp-shooting? Let’s hope and pray Jeremy and the Nets can win their debut home game and stay healthy to build the much-needed confidence. NO. If JL7 get his 35 min in the Bos game they would have won. But I’m seeing what KA is doing – making believers out of 14th, 15th guys of the bench – just like he did it for JL7, the 15th guy in 2012. He will let the bench players get their fair share of contribution – that’s called building confidence and Stronger team down the line… In all honesty, JL7 really need these guys to do well so they can go much farther. Yes. That’s the idea. And I will say this “process” will last for couple more games. The bench needs equal minutes as of right now – if we need them to be stronger down the line. Harris, Hamilton, Kilp, Whitehead, MC – they need the experiences. However, I just hope JL7 will get more minutes along with them. Come on already. It’s just one game and you are already inciting hatred for a coach that actually believes in Lin. No, I’m blaming you! Stop this incessant hate already. We are in full agreement on this process.